Thank you for your interest in our Reflections by Carolyn Taylor eBook. To download just complete and submit the form. 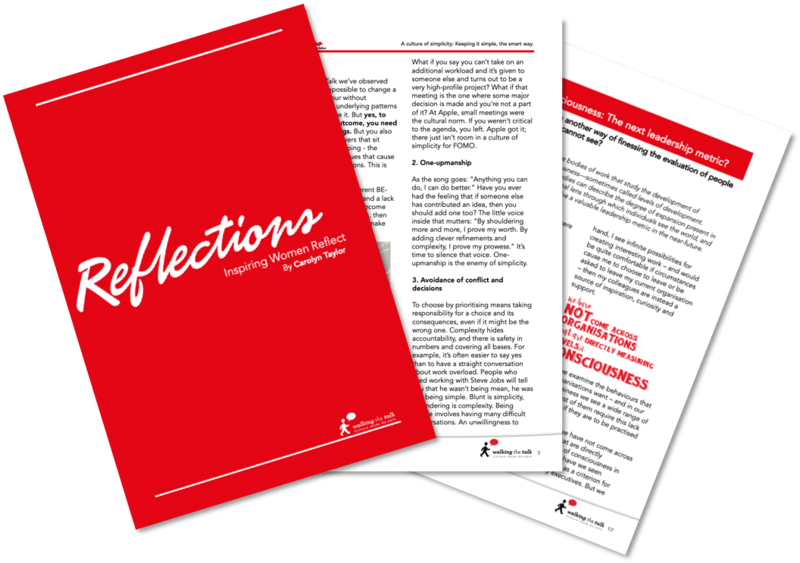 The eBook contains a series of articles from Walking the Talk CEO Carolyn Taylor. It has been designed to provide you with some insights regarding the world of organisational culture, and offers ideas and practical examples of how you can make culture work for you and your organisation. To download and improve your culture capability, just complete and submit the form.